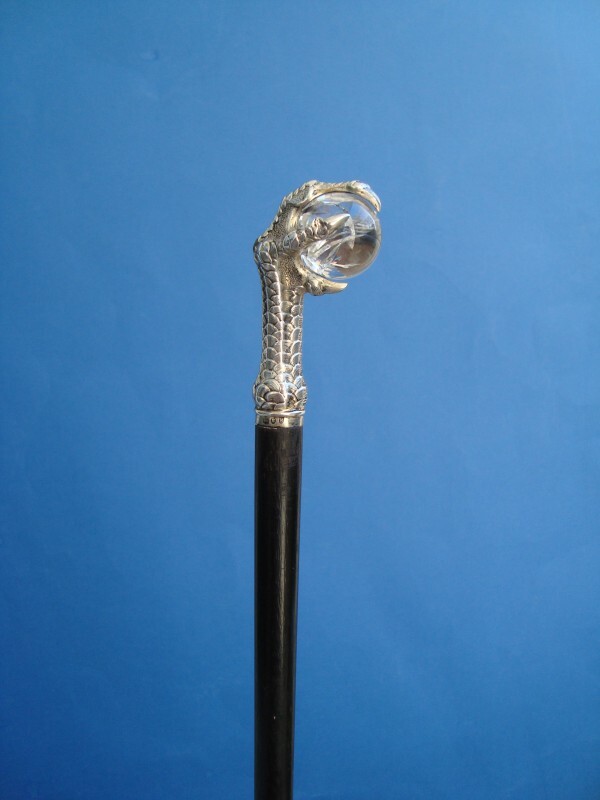 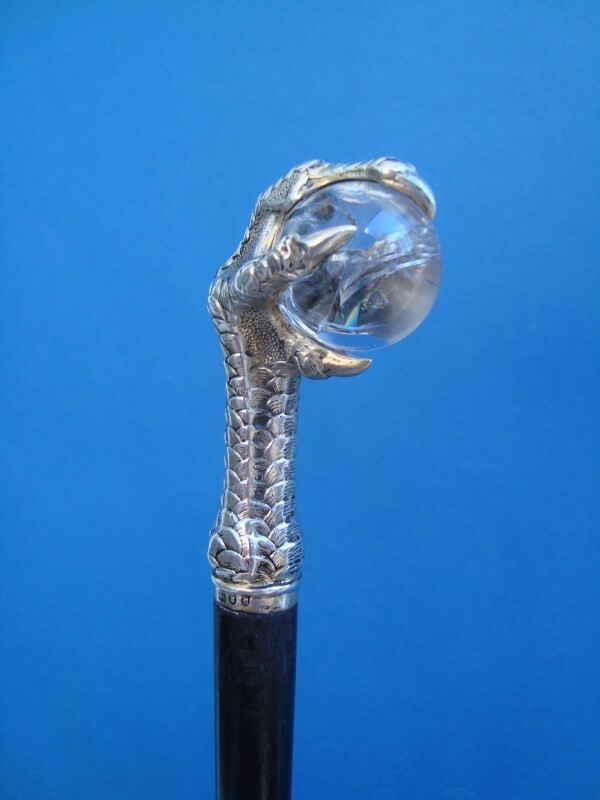 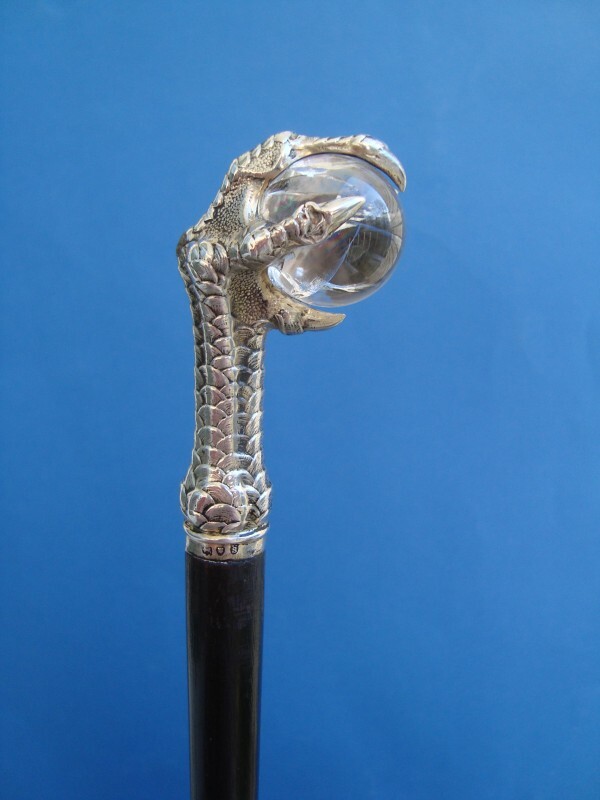 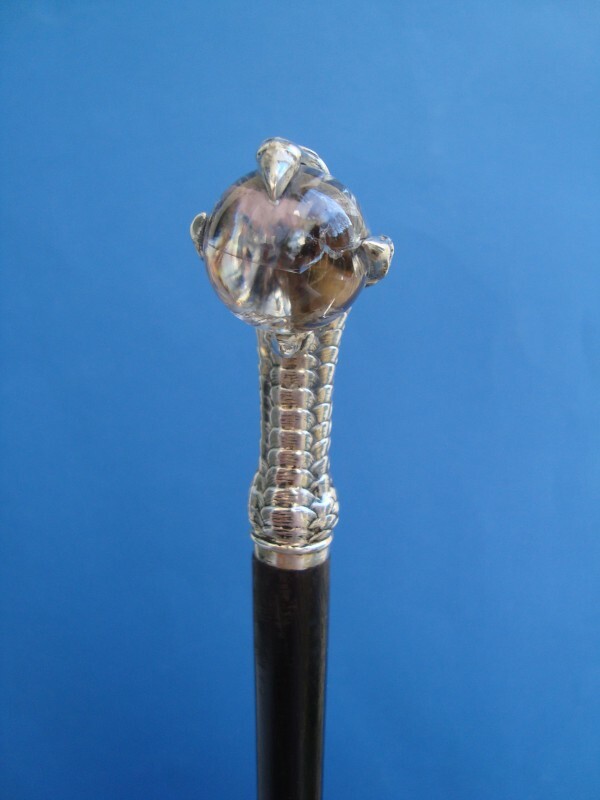 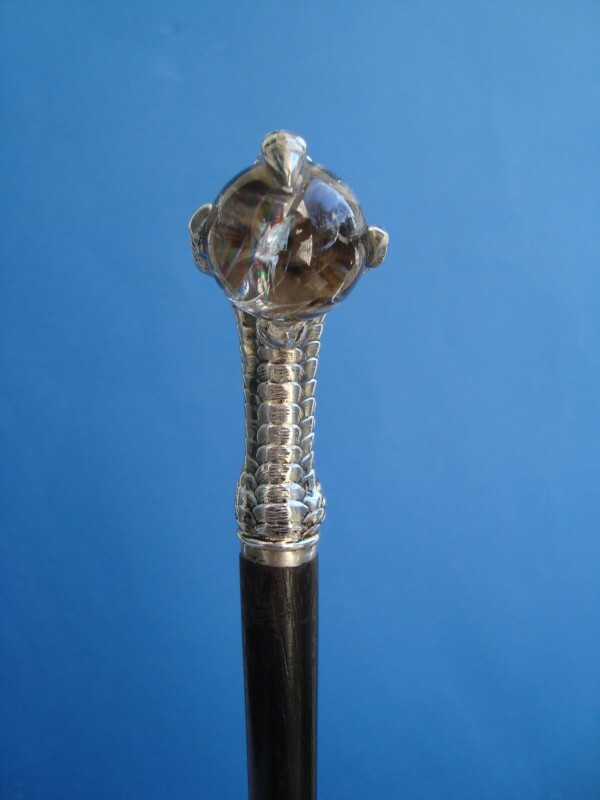 A cane of a Flaneur with a silver claw holding an crystal ball, London mid 19th century. 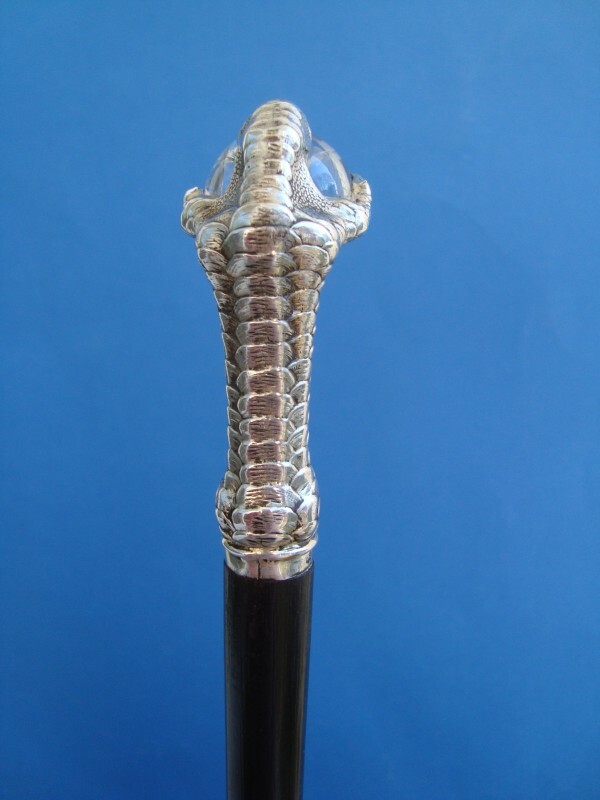 The caw is fitted on a black varnished shaft with a long metal ferrule. 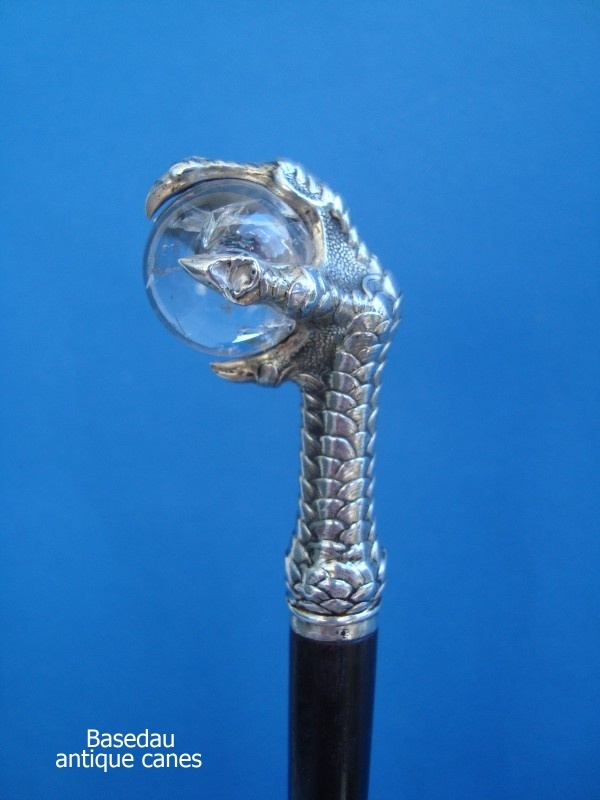 Measures: The claw H. 7,5 cm 3 "Overall length 92 cm 36 ".